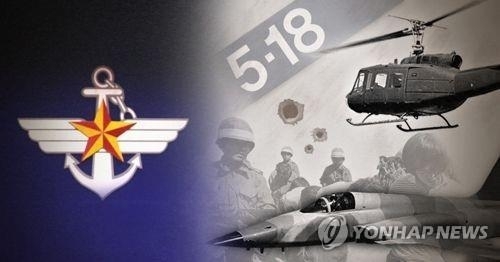 SEOUL, Feb. 7 (Yonhap) -- South Korea's military launched helicopter gunship attacks on civilians protesting against the junta of Chun Doo-hwan in 1980, a crime against humanity tantamount to a massacre, a government committee said Wednesday. During the Gwangju uprising, known as the Gwangju Democratization Movement, the Army fired shots toward citizens from 500MD and UH-1H choppers, with fighter jets armed with bombs on standby as a backup, according to the panel. The conclusion came after five months of special investigation by the defense ministry's ad hoc body composed of nine civilians supported by some 30 military officers, prosecutors, police and other government officials. The committee said it reviewed around 620,000 pages of relevant documents and interviewed more than 120 people. But it provided no "decisive evidence" of a direct order from then military leaders for the alleged chopper attacks, other than testimonies mainly by witnesses. "There are many witnesses to the helicopter shooting on May 21 and May 27" around the Jeonnam (South Jeolla) provincial government office, which was used as the headquarters of local protesters, it said in a 20-page report. Earlier, 150 bullet marks were found on the 10th floor of a nearby building presumably from the firing of M60 machine guns installed on a UH-1H chopper or M16 rifles. There's also a possibility of Vulcan rounds being shot from Cobra attack helicopters, as four former pilots testified that they were deployed to Gwangju on May 22, 1980, with two AH-1J Cobra aircraft loaded each with 500 rounds of Vulcan ammunition, the committee said. "The martial law troops fired warning shots at ordinary citizens on May 21 using helicopters and even directly shot at unarmed civilians," it said. "The reckless, inhumane acts are evidence of brutality, cruelty and criminal nature of their operation to suppress the uprising." In the case of the May 27 helicopter shooting, the panel added, it was part of a "premeditated, sophisticated" military maneuver against some 300 Gwangju citizens armed with Calvin rifles and other conventional weapons. "It was a massive murder and massacre of civilians," it stressed. At that time, the Air Force got F-5 fighter jets and A-37 warplanes, both loaded with MK-82 bombs, ready for a possible mission in two other cities, the committee said. However, it failed to find any clear evidence that the aircraft planned to bomb Gwangju. It cited limits to collecting additional documents and other materials and questioning key figures involved in the military operation. It called for the introduction of a special law to find more truth behind the tragic history. Around 750,000 people resided in Gwangju in 1980 and 200,000 of them are estimated to have participated in the uprising. More than 20,000 soldiers were reportedly mobilized to quell the demand for democratization.